Our clients are our inspiration, and the structures are our teachers. 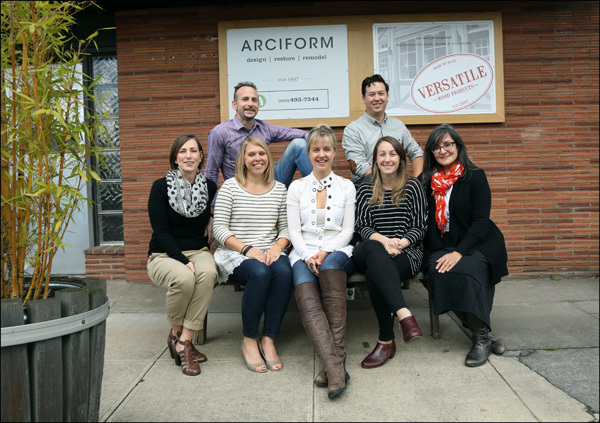 Working with Arciform on your home renovation project means working with an expert designer who will create a master plan suited to your home’s unique history, style and personality. Your designer will also ensure that all elements of the project will conform to relevant government regulations, be accurately documented for the construction team and will fit your budget and your priorities. We design everything from large additions to small kitchen remodels to the selection of a color for one room. We also offer decorating services. Take a “behind the scenes” peek at a recent kitchen design and renovation project here. Our design services are tailored to each project at the following hourly rates. Your design budget will typically be 10% of the cost of your finished project. We offer a Design Consultation at a flat rate of a $150.00. This consultation at the beginning of a project is designed to educate clients in sequencing of projects, design choices, budgets, codes and the remodel process in general and will lay the framework for how we will work together.